The Wall Street Journal has a fun story today tracking the grammar of NFL fans, or at least fans who comment on team websites. And guess what: Eagles fans have some of the best grammar in the league! For the story, the WSJ used the automated proofreader Grammarly to check 150 comments on the official websites of all 32 NFL teams. The Eagles ranked 3rd-best in grammar among the teams, behind only the Detroit Lions and the Green Bay Packers. 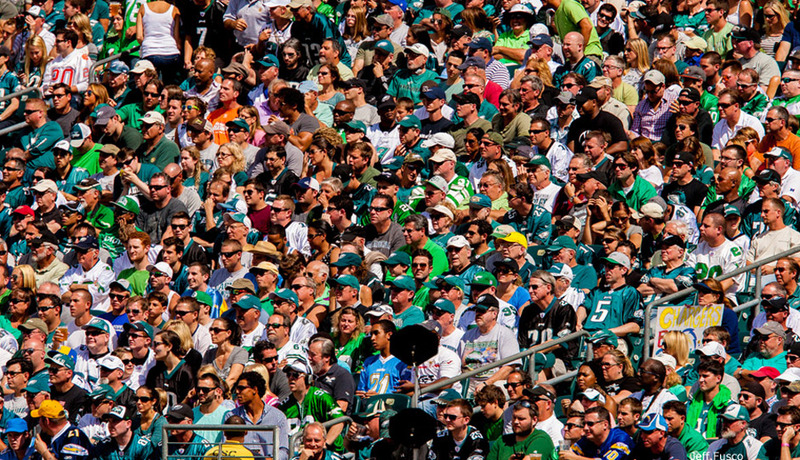 Philly fans averaged just 5.2 grammar mistakes per 100 words. (The Packers were at 5.1; the Lions had just 4.2 mistakes per 100.) In a ranking that will no doubt enthuse Philadelphia fans, fans of Washington’s football team were the worst with 16.5 mistakes per 100 words. Saints fans were second-worst at just 12.2 errors per 100. Washington fans stand alone in their lack of grammar skills. Philly fans do get off a bit easy that this is not a pronunciation test; surely Eagles fans are one of the few fanbases that routinely misstates the name of the street the stadium is on (“Patterson Avenue” vs. Pattison Avenue) or one of the team’s top running backs in the 1990s (“Ricky Wooders” vs. Ricky Watters). But no matter. Look how great PhiladelphiaEagles.com commenters are! Just over five grammar mistakes per 100 words is a badge fans can wear with honor. But don’t expect this to last if the Eagles do wind up drafting Marcus Mariota. Fans will be spelling his name “Mariotta” in no time.